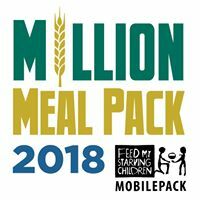 I received a call from Mom last October (2016), and she sounded distressed. 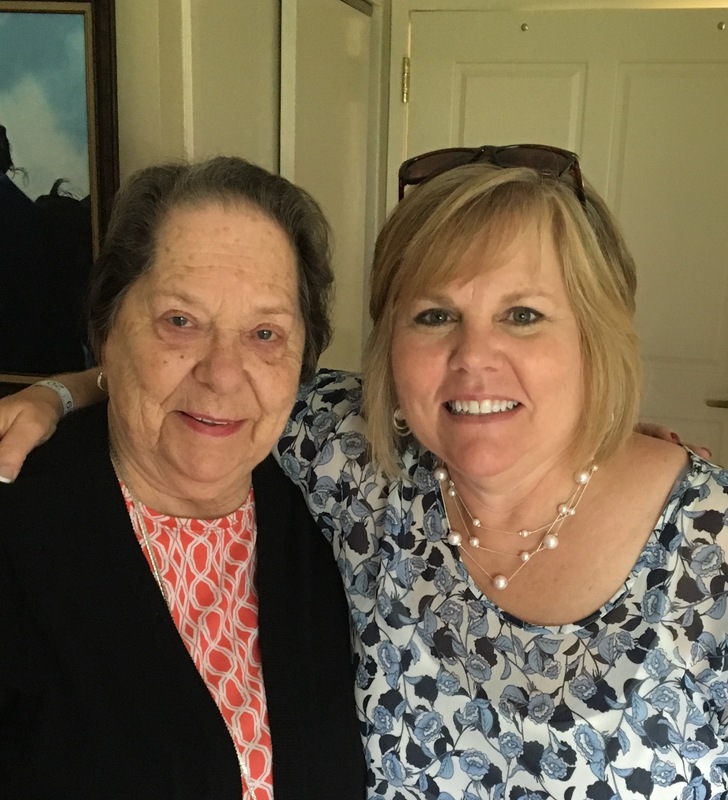 She had been living in an assisted-living facility close to my sister’s home — about a 2 hour drive from me. As I picked up the chirping phone, those words from my mother surprised me. She had been doing well, and had adjusted to assisted living. She was involved in many of the activities, and seemed to be content. So this plea to come home caught me by surprise. I will not go into all the details of what transpired over the course of the few months prior to mom’s discontent. I had not, myself, been aware of them until the phone rang that very day. However, by the time Mom called, her mind was made up. So the next day, I called the assisted-living facility in her hometown, and was able, within a few short weeks, to secure an apartment. She is now living back in my area, and I am again her “go-to” daughter. I kind of like it that way. In the quick process of making plans for Mom, my siblings and I actually talked about one of the independent-living apartments of this local senior complex for her. Could she live on her own again? Would she be able to do so with her short-term memory issues? But when given the choice, Mom chose assisted-living. “I don’t want to cook. I want everything in the same building. I don’t want to walk across the courtyard for my meals.” These were her decisions. Her choices. She has settled in, and this time, I think her contentment is genuine. Even with this newfound peace, one of the things Mom misses is the art class as this new facility has no art program. On several occasions, the Administrator and I have talked about the possibility of an art class. One time she asked, “Would you like to teach it?” (Oh my, be careful what you ask for). My quick response was, “Oh no, I’m not an artist. 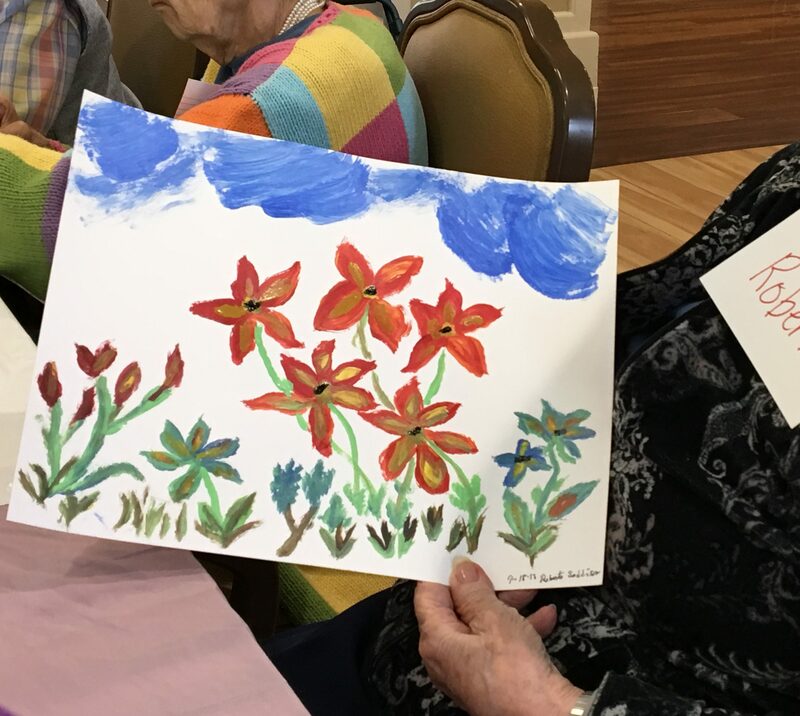 I’m just learning myself.” But several weeks went by, and I kept thinking about an art class for this group of seniors. Do they really want to learn how to be an artist? Or do they just need to use their hands and minds? Something that brings them together as a community. A time to talk. Something to create. Something to be proud of. I spoke of this to my sister who lives far away. She feels the burden of not being close enough to care for Mom. Her response? “Do it. I’ll send you the money for supplies”. So today was our first official “art class”. Six residents eventually joined me in the dining room where tables had been pushed together and draped in plastic. 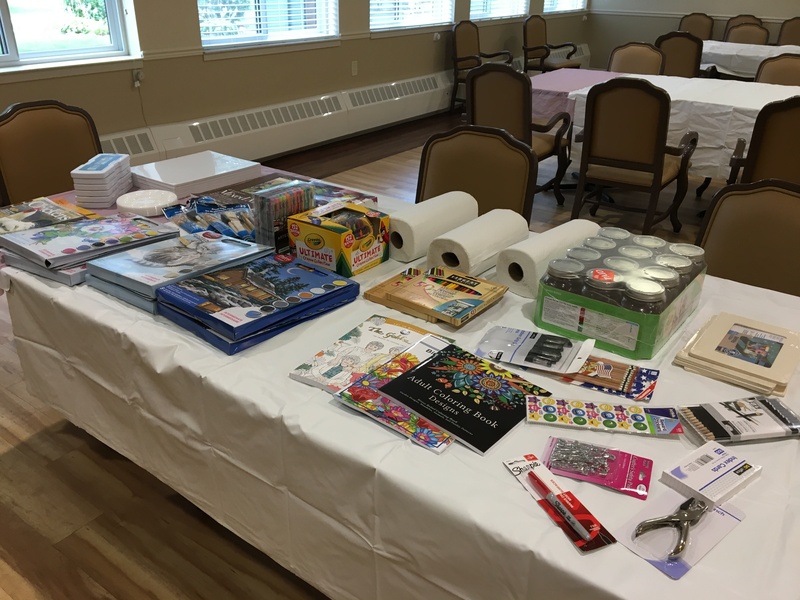 I had one set of tables filled with all my offerings: acrylic and watercolor paints, canvas boards, coloring books, crayons, colored pencils, and numerous other artsy stuff. I knew within a few moments that the cluttered table was too overwhelming so I concentrated on name tags and seating. One by one I got each artist involved in a project. Bob was willing to do anything: “Connie, just tell me what to do”. He completed one project, and was ready for another. And again, in a rather booming voice, “Connie, just tell me what to do”. 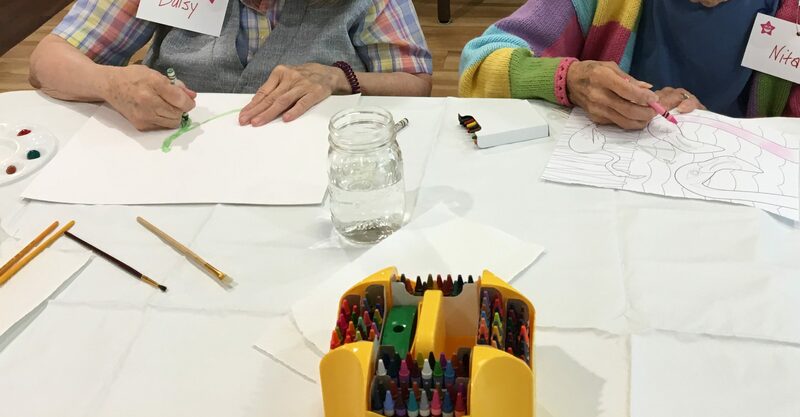 Thelma and Daisy chose to color. Nita didn’t seem to understand at all what was going on, but I gently placed a coloring page in front of her with a small box of crayons. By the end of the hour, she had two pink flamingos with orange beaks and a blue sky. Bless her heart, she knew what to do, and the picture was so sweet. Roberta must have been a artist in her younger days for she said, “I like acrylic paints, do you have those?” When I started to squeeze the paint onto her palette, “Not too much; they are expensive, and we don’t want to waste it.” Then she created a beautiful picture of flowers and greenery, mixing paint to the color of her choosing. Phyllis wanted to participate, but kept saying, “I can’t see. I only can see out of one eye. It’s all too small. I wish I could.” So I drew a large, simple flower on the canvas, and placed it down. 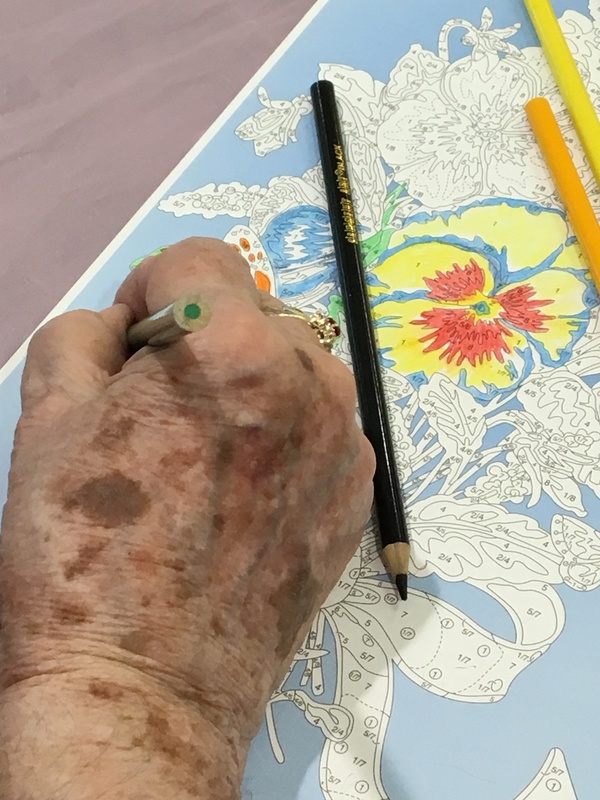 “Can you see the outline?” And she spent the entire time coloring that bloom. 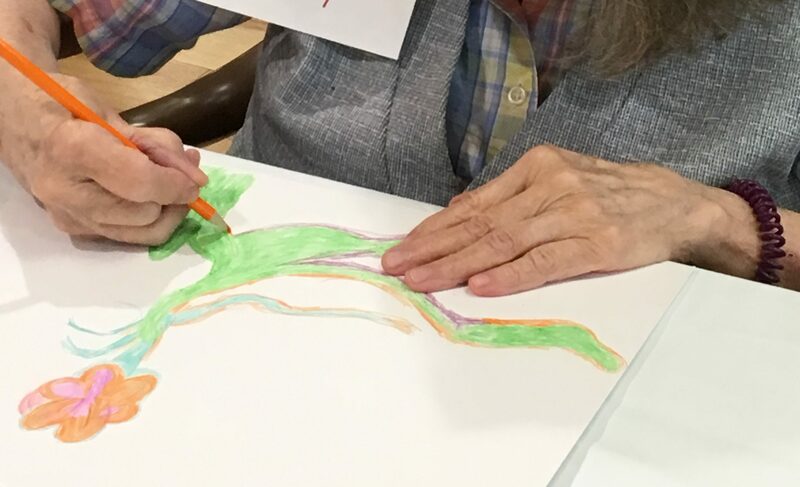 My own mother chose to do a paint-by-number picture using colored pencils rather than the paint. That’s ok. No rules here. This was a learning experience for all of us. I already know how to make the next class easier for them (and me). Some supplies will be returned to the store — who knew paint-by-number pictures had such microscopic detail! I had also bought the new “adult” coloring books, thinking they would enjoy the beautiful pictures, however, I soon realized that those, as well, are too detailed for this class. The larger the detail, the bigger the print, the better. I’m hoping as the class gets comfortable being creative, we can move onto more challenging artwork. But even if we don’t get beyond the crayons, I think I’m going to enjoy this group of ladies — and Bob. 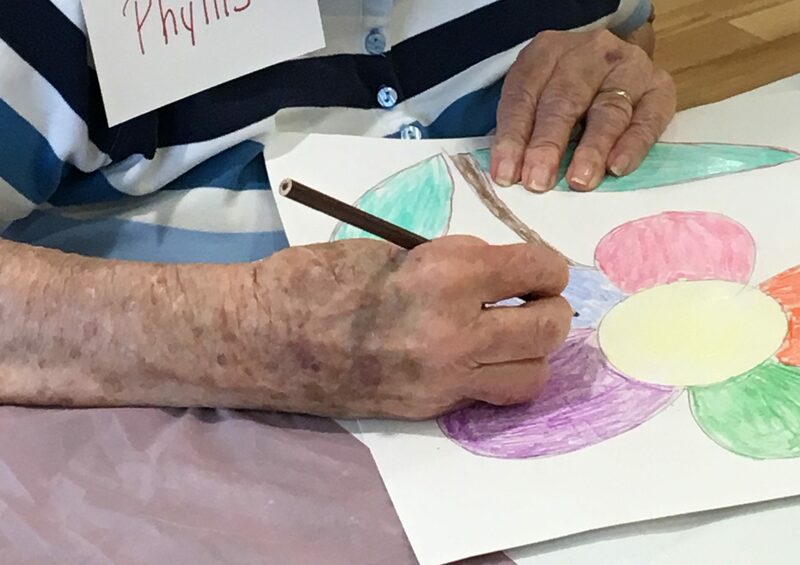 I thought this art class was for my mother, for the residents, but as our time came to an end, I found myself whispering to Phyllis, patting Thelma on the back, and embracing this small group of people. I know Bob was a hog farmer “back in the day”. I know Roberta’s sister recently passed away. I know Daisy knew my mother when she was just a little girl. I will know them by name when I see them in the hall next week. This class was for me as much as it was for them. I’m not talking about art. I already see that I am the student. As the class develops, I will post updates here. I hope you come back and see the beauty as it unfolds. A wonderful lesson for everyone. And who doesn’t like to color! I have my own coloring book! Thanks, Connie. Thanks, Linda. I love those new coloring books — so relaxing. Dear sister-in-love, our parents still are teaching us about life, even in their declining years. God bless you in this artistic journey of life. Thank you Carolyn — your reply is very poetic. And yes, life is turning out to be very artistic journey — and I love that.